← What Story Do You Tell? I’ve thought a lot about my life before I become a Jesus-follower at age 33. Raised in the Baptist church, I was taught the tenets of Christianity. I knew the rules, the characters and the stories of the Bible. Even when I was baptized at 10 years old, I could have passed a quiz on Christianity 101. But all that knowledge had no effect on how I thought or behaved. Why? I knew about sin but I sinned anyway. I believed in hell but it didn’t scare me enough to deter me from bad behavior. It wasn’t a matter of cheap grace where I thought I could misbehave and get quick and easy forgiveness. It just didn’t matter. God didn’t matter. Here’s what I figured out, and I think this may be the Achilles heel for the majority of the 247 million people in the U.S. who identify as Christians. 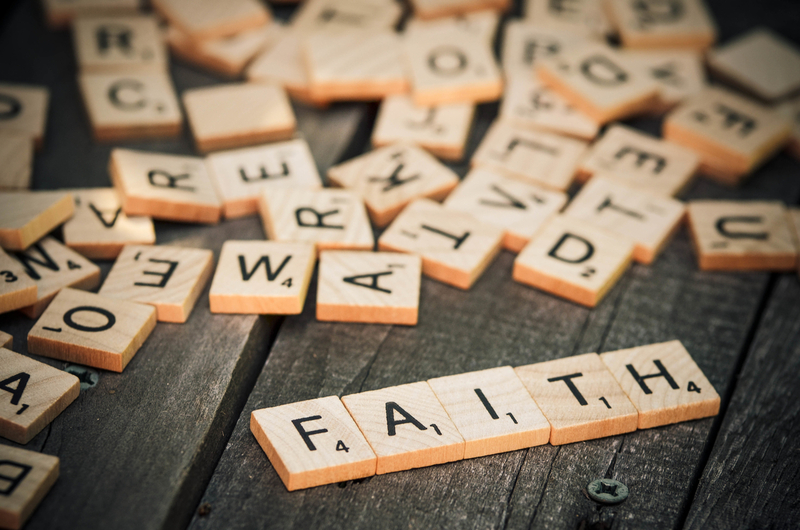 The Oxford Dictionary defines faith as “complete trust or confidence in someone or something.” The Bible, in Hebrews 11:1 , defines faith as “confidence in what we hope for and assurance about what we do not see.” So, here’s what I deduce about faith . . . Faith is complete trust and confidence – When I have trust and confidence, I have no worries. I have no angst about outcomes. I don’t have to be driven. I don’t run around with my hair on fire. I don’t have anything to prove. I’m peaceful. 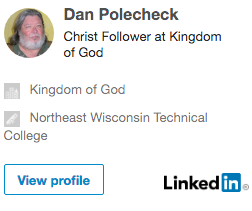 Before I knew Jesus personally, I had neither. I had no confidence, even in myself. I knew I had to give my work, my wife, my kids . . . I had to give everything 100% effort for the best shot at the outcome I wanted. After I found and began to follow Jesus, I realized I could trust Him with all the outcomes. I started to work smart but not as hard. Faith is in someone not something – Here’s a major problem. Mankind has always turned God into a set of rules, a character in a story, or a set of theological premises. God is a someone, not a something. Until I recognized that God is a living entity . . . someone I can talk to, hear from, and experience the presence of, I had no meaningful, useful faith. Faith is in what we hope for – Until I was 33, Heaven and Hell didn’t register with me because I thought I was going to live forever (not really, but young people sort of act that way!) I hoped for success, status, and stuff. I hoped for admiration and affirmation, especially from my dad. Once I realized God was real, that He loved me and I could trust Him for all the outcomes, I began to hope for different things . . . a good marriage, great kids, influence for Christ in the workplace, and a home in Heaven when this deal is done. Can you be a Christian with no faith? I do know that following Jesus in faith negates the question altogether. Posted on 23 Oct 2017 by Crusty	• This entry was posted in christian, christianity, Faith, Mentoring, spiritual and tagged Christianity, christians, devotional, Faith, Inspiration, spiritual. Bookmark the permalink.